I think because of my upbringing in the bible belt, I have an almost unhealthy aversion to anything that has a sniff of superstition. Over the years, I have evolved from a hard-core agnostic position to something more open-minded I guess. Mostly I have recognized that I will never know the "Answers", except that 42 sounds as good as anything. But one thing I have to recognize are the benefits of new and different perspectives. The ancients of our own earthly civilization have found ideas, philosophies, nuggets of wisdom, that work in unexpected ways. I wouldn't say I believe that there are necessarily "mystical pools of energy" in our body, but I do believe that the process of contemplating such ideas opens the mind in ways that you otherwise never would. 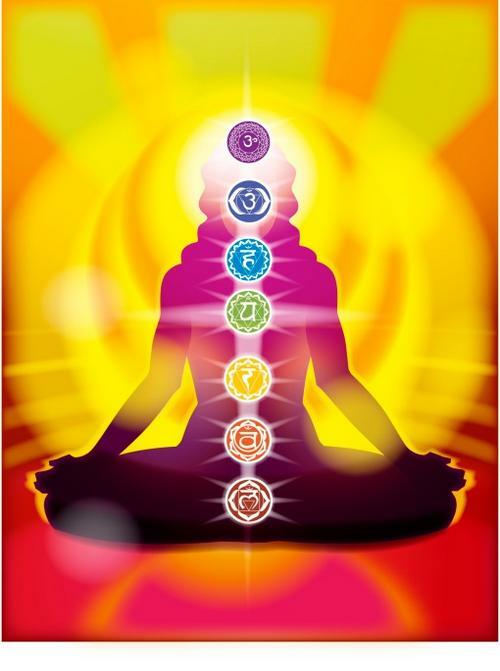 The 7 chakras idea goes back thousands of years in the Vedic traditions. There is a process of "opening" these pools of energy by performing meditations. The basic idea is that energy is supposed to flow throughout your body easily. But false ideas, jealousies, guilt, and other negative emotions block the flow between each of the pools. By going through the process of confronting your emotional baggage and casting it off, you unblock your internal energy and allow yourself to fully realize your true potential. I may not reach enlightenment without a lifetime of practice, but I think the idea of casting off emotional baggage and cleansing my soul is a very attractive idea. Below are the basic chakras, and a brief description of what blocks the flow of energy within them. 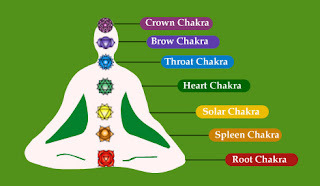 These chakras are listed from the "root" to the "crown", in other words you work through the chakras from the bottom up during your meditations. 1) Associated with Earth. Located at the base of spine. Used for Survival. Blocked by Fear. You must face your deepest fears and surrender them, let them flow down the river. 2) Associated with Water. Allows you to experience Pleasure. Blocked by Guilt. Look at all the guilt that burdens you. Accept the reality that these things happen, but do not let them cloud your judgment. You must forgive yourself. 3) Your internal Fire. Located within the Stomach. Grants you Willpower. Blocked by shame. What are your biggest disappointments in yourself? You will never find balance if you do not recognize the things that make you who you are. 4) Located in the Heart. The source of Love. Blocked by grief. Lay all of your grief out in front of you. You have felt a great loss, but love is a form of energy, and it swirls all around us. Love from others has not left this world. It is still inside your heart, and is reborn in the form of new love. Let the pain flow away. 5) The Sound chakra. Located in the Throat. Grants the ability to see the Truth. Blocked by lies. The ones we tell ourselves. You cannot lie about your own nature. You must accept yourself for who you are. 6) The Light Chakra, also the 3rd eye. Located in the center of the forehead. Gives Insight. Blocked by illusion. The greatest illusion of this world, is the illusion of separation. Things you think are separate and different, are actually one and the same. We are all one people, but we live as if divided. 7) The source of all Thought. Located at the crown of the head. The gateway and connection to pure cosmic energy throughout the universe. Blocked by earthly attachment. Meditate on what attaches you to this world. Now, let all of those attachments go, let them flow down the river. You must learn to let go. Let the pure cosmic energy flow in from the universe.